Hurricane season is around the corner and cyber attacks are ever-increasing — is your business prepared for any incident with a disaster recovery plan? While it’s important to plan for an emergency in terms of IT infrastructure and data security preventative measures, it’s equally as important to have a disaster recovery plan (also known as a DR plan or DRP) in place to help your business recover from an emergency. Disasters of any kind — natural and man-made alike — pose significant threats to every business and organization. According to research from Keeper Security, Inc. and the Ponemon Institute, 67% of small businesses experienced a cyber attack in the past 12 months. In its Global Risks Report 2018, the World Economic Forum (WEF) ranks extreme weather events and natural disasters as the top two most likely global risks, followed immediately by cyber security attacks and data theft. Natural disasters that affect businesses include hurricanes, tornadoes, floods and monsoons (yes, we have them in the Southwestern United States as well), earthquakes, wildfires, and blizzards. Man-made disasters for businesses, on the other hand, include everything from terrorist attacks and IT infrastructure attacks to insider attacks, data theft, and cyber attacks. These lists don’t even include other unintentional IT infrastructure threats such as rodents eating through critical wiring, power outages, facility fires, plumbing failures, or a slew of other concerns. No matter what the cause, IT security failures are a very real and critical concern for any organization that uses and depends on information technology resources and data — which, essentially, includes virtually every organization in the modern era. No matter whether you work for a government organization, a small business, or an international corporation, it’s imperative to develop and implement a disaster recovery plan and corresponding processes that will help increase your organization’s cyber resilience. After all, when the manure hits the fan, you don’t want to find yourself wringing your hands, uncertain about how to get your systems back online and operational. The industry-accepted average cost per minute of downtime is $5,600 — which equates to a staggering $336,000 per hour (depending on the size of the organization, it could be even more!). Now is the time to make sure you have an IT disaster recovery plan in place that you can implement at a moment’s notice. What is a disaster recovery plan? How does it differ from incident response or business continuity plans? 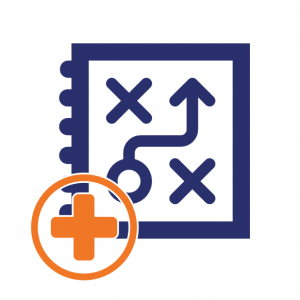 A DR plan is a document that outlines how you will get your essential IT infrastructure and operations up and running after a man-made, natural, or extreme weather emergency. This differs from an incident response plan (IRP), which helps you respond to a cyber security attack and implement corrective measures to respond to and mitigate the threat, and a business continuity plan (BCP), which aims to get a business back to full operations following an emergency. Disaster recovery and business continuity plans, which are closely related in that a DR plan is part of an overarching BC plan, are integral to the success of your business. 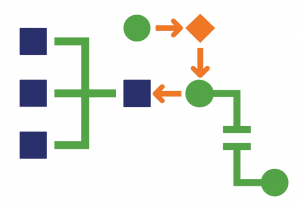 Rollback procedures for bringing the organization back to a standard operating state. To create an effective disaster recovery plan, it’s essential to have a full understanding of the situation by performing a cyber risk assessment (CRA) that follows National Institute of Standards and Technology (NIST) guidelines and a business impact analysis (BIA). A disaster recovery plan outlines the necessary steps to bring a business back online at the conclusion of an event. Corresponding recovery strategies should be created that account for the potential loss of any vital system components such as hardware, software applications, or data. “To minimize interruptions to the normal operations. “To limit the extent of disruption and damage. “To minimize the economic impact of the interruption. “To establish alternative means of operation in advance. 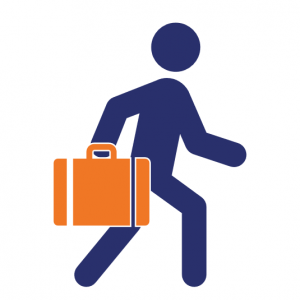 “To train personnel with emergency procedures. Other important objectives that should be mentioned include other business-specific priorities, adhering to industry compliance standards, and establishing recovery time objectives (RTOs) and recovery point objectives (RPOs). However, the potential costs to your company extend beyond finances. An expired SSL certificate alone can result in costs to your brand image, reputation, site downtime, and increase the likelihood of your business experiencing cyber attacks. 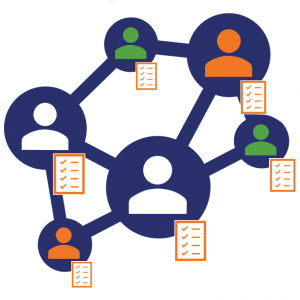 And as organizations grow and the number of connected devices increase, regularly applying and managing individual certificates becomes increasingly complicated and time-consuming. 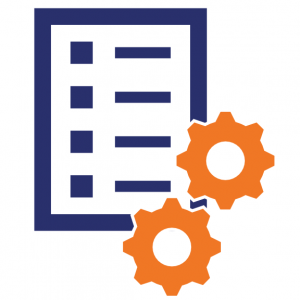 Whether you choose to manage these certificates with an in-house team or use a managed service provider, ensure that you maintain an up-to-date list of your certificates and renew them on time to prevent them from expiring. Who is responsible for implementing and storing the data. Performing a data audit can certainly help this process. If you’re an organization that already performed an audit to prepare for the European Union’s implementation of the General Data Protection Regulation (GDPR) in 2018, then you’re already ahead of the curve. However, it’s vital to point out that audits should be performed regularly to ensure you have the most up-to-date information available. Also, be sure to test your data backups regularly to ensure they are in good condition and are reliable. Few things are worse than trying to use your data backups, only to discover that there is an error or another issue that prevents you from accessing your vital data. “3 — Keep 3 copies of any important file: 1 primary and 2 backups. 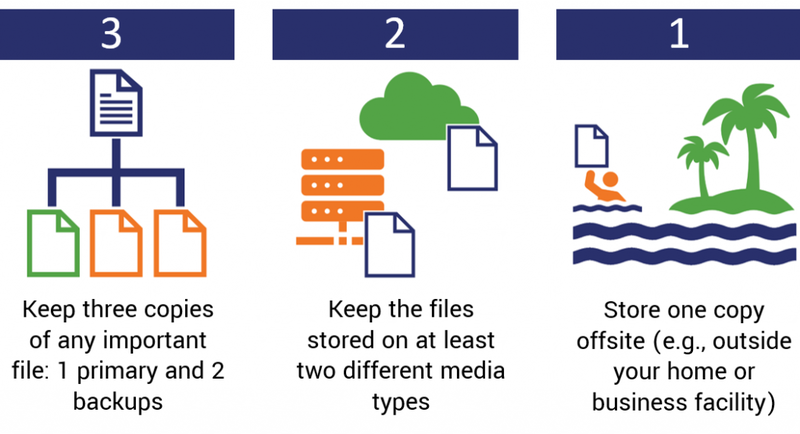 “2 — Keep the files on 2 different media types to protect against different types of hazards. Ideally, you’ll want to ensure that your data backups are saved in at least two separate geographic locations. This helps to make sure that your valuable and sensitive data won’t be entirely wiped out in a disaster affecting the geographic area. For example, if your organization’s office and local servers are physically located in California but you have data backed up to other servers located in Atlanta, Georgia, or Dallas, Texas, it means that you’ll have a backup available should a natural disaster destroy the data at the California location. These individuals should be trained regularly to ensure that they understand their roles and are prepared to assume them after a disaster. The personnel contact information list and disaster recovery team tree and list will be particularly beneficial for the next component of our disaster recovery plan checklist. Creating a communications plan is two-fold: It should include both communications infrastructure technologies that enable your business to become operational as well as the actual communication of information to help keep employees, investors, and the general public informed. 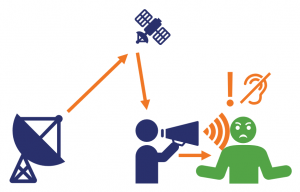 For the first component, create a communications plan that includes alternative methods of communication and outlines how those systems will operate after disaster strikes. For example, you may want to implement preventative measures for your network by implementing network path diversity or using ad hoc networks. The benefit of the former is that if one network path is overwhelmed with traffic or if there is a point of failure in the physical conduit, using two or more types of network connections technologies helps to reduce the likelihood of both being disabled at the same time. The advantage of the latter is that ad hoc networks can be established relatively quickly and are particularly useful to emergency responders and organizations that are involved with public rescue and recovery operations. Having a crisis communications plan in place for your organization helps to keep everyone informed as well as increases trust and your brand image and reputation. Even just a quick communication that “there are no new updates or changes at this time” or that “we are currently working to resolve technical difficulties and get XYZ Company back to working for you” is better than operating on radio silence. The adage “no news is good news” does not necessarily apply during times of crisis — let people know that you’re there and are working to bring your business back to full operational status. 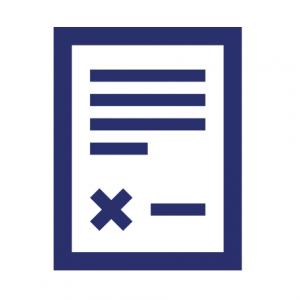 Create a few pre-approved statements with fill-in-the-blanks sections to tailor them to each specific emergency — these statements can be posted on your website, shared on social media, or disseminated to the media. Sharing these messages regularly in the aftermath of an event helps to reduce confusion and mitigate the spread of rumors and false information concerning your organization. Lastly, a good communications plan — much like a disaster recovery plan or business continuity plan — should be reviewed and updated regularly to ensure that contact information, policies, and procedures are up to date. In the event of a natural disaster or even a non-environmental incident, getting your business back to operational status is a top priority. 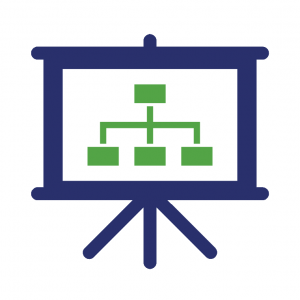 This may mean establishing alternative work capabilities for your employees as part of your disaster recovery plan — not necessarily just a backup physical location but also alternative options for your IT infrastructure, hardware, software, IT security, and communications capabilities as well. This way, employees can work remotely or from a secondary location almost as though there was no recent emergency. One method for enabling secure communications is to use a virtual private network (VPN). VPN encryption helps to prevent third parties from “reading” your data by encrypting the information as it transmitted through the internet. There are two types of VPNs — those that use SSL/TLS protocols (SSL VPNs) and others that rely on internet protocol security (IPSec VPNs). The main difference between the two is that the latter VPNs use third-party hardware or software, whereas the former VPNs rely on the SSL/TLS protocols that already are equipped in most web browsers. According to Cisco, these “clientless VPNs” or “web VPNs” offer greater ease of use to end users because they only require a modern web browser. Having a disaster recovery plan in place that specifies your corresponding alternative IT and communications capabilities and technologies will enable your employees to work securely while your traditional workplace is out of commission. While ensuring that your communications and data are secure through the use of a VPN, it’s just as important to ensure that the sensitive information you wish to back up and use for restorations is also secure. A best practice for the secure backup and protection of your business’s and clients’ data is to use host-based or appliance-based data backup encryption methods. No matter which method of secure backup you choose, be sure to specify information about the method in your disaster recovery plan along with who is responsible for implementing it. You should also implement in-transit encryption and at-rest encryption methods to protect your data. Much like how it sounds, in-transit encryption offers protection to data that is transmitting via the internet. SSL/TLS certificates are essential for protecting sensitive data while it is in transit through a secure, encrypted connection, such as when you are uploading data to a database or a storage server. At-rest encryption, on the other hand, is useful for protecting inactive stored data or data that is not in motion, such as when it is stored on a physical device, in a virtual database, or on a storage server. You can accomplish this by encrypting your sensitive files before uploading them to a device or virtual storage space. Both types of data encryption methods are essential to mitigate the risk of your data being stolen or compromised. Credit/refund request stipulations, limitations, procedures, and timeframes. If your company is the vendor for other organizations, the same can be said about what you should include in your SLAs with them. This way, they understand what your plan of action will be and how you will operate when your organization is recovering from a cyber attack or another disaster. Ensure your plan includes the most up-to-date information. Don’t wait until an emergency strikes to realize that your personnel information, list of emergency contacts for the DR team, data backup information, or other documentation are outdated. Make updating the disaster recovery plan and all corresponding information one of your standard organizational procedures to ensure that your IT and human resource teams perform these tasks on a regular basis. This concept is much like buying roll-down hurricane shutters to protect your business’s windows but never bothering to install them or test to ensure they work: These devices may look nice in their new condition, but they won’t do you any good during a storm if they just sit in a storage unit and aren’t used to protect your building. Regularly test your plan to ensure that your contact lists, procedures, and everything remains up to date so you and the disaster recovery team are ready when a disaster strikes. 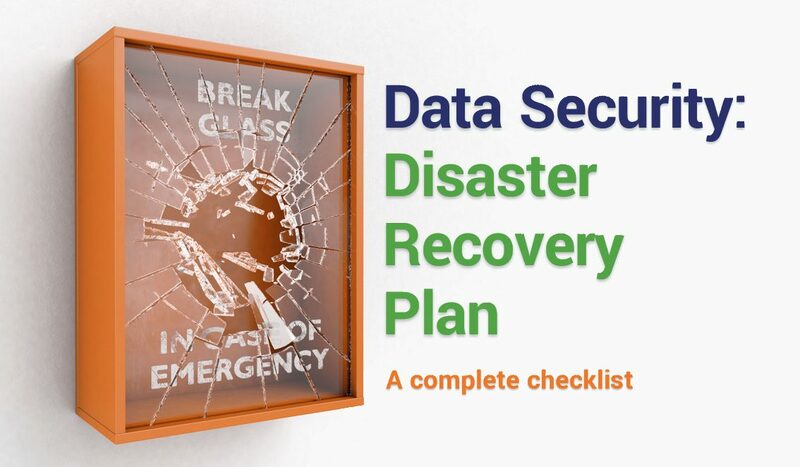 We hope that you’ve found the information in this disaster recovery plan checklist informative and helpful. As you’ve seen throughout this post, your disaster recovery plan is a living document that needs to be continuously revisited to ensure it is up to date, compliant with NIST or ISO standards, and ready to serve as your proverbial lighthouse in the storm. Microsoft Premier Field Engineering Disaster Recovery Planning Template — This Word document serves as a great resource that can be customized to meet your organization’s needs. The government of Alberta, Canada’s Ministry of Education website — This IT Disaster Recovery Planning Guide provides a valuable basic template that can be adapted to fit the needs of other organizations. The National Mining Association’s (NMA) Media and Community Crisis Communication Planning Template — This is a great example of a crisis communications plan template that can be used to help you create a plan. DisasterRecoveryPlanTemplate.org website — This site serves as a valuable resource for a variety of plan templates, including IT disaster recovery plans and business continuity plans. As always, we invite you to share your thoughts and insights on this topic in the comments below. Casey Crane is a regular contributor to HashedOut, with 10+ years of experience in journalism and writing, including crime analysis and IT security. She also serves as Content Marketer for The SSL Store.